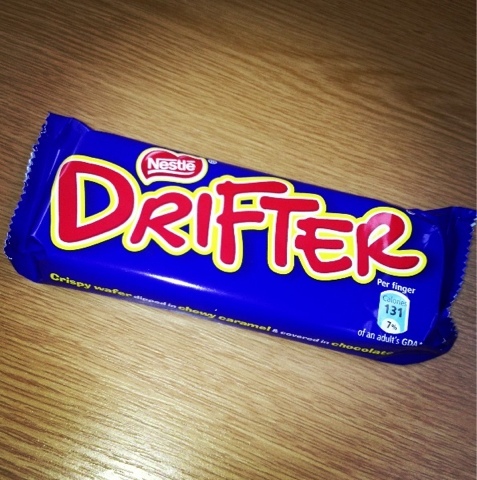 Today I had a Drifter. Now if you aren't from the UK (do they sell them anywhere else?!) then you are seriously unlucky! Catch up here, Days - 1, 2, 3, 4, 5, 6, 7, 8, 9, 10, 11, 12, 13, 14, 15, 16, 17, 18. They ARE underrated! I haven't had one in ages and now I really fancy one now. A trip to the shops might be in order tonight.